This is liquid gold right here! Once in a while I search for one of my own recipes here on the blog, and the other night I came across these easy quesadillas where I mentioned making red pepper oil. 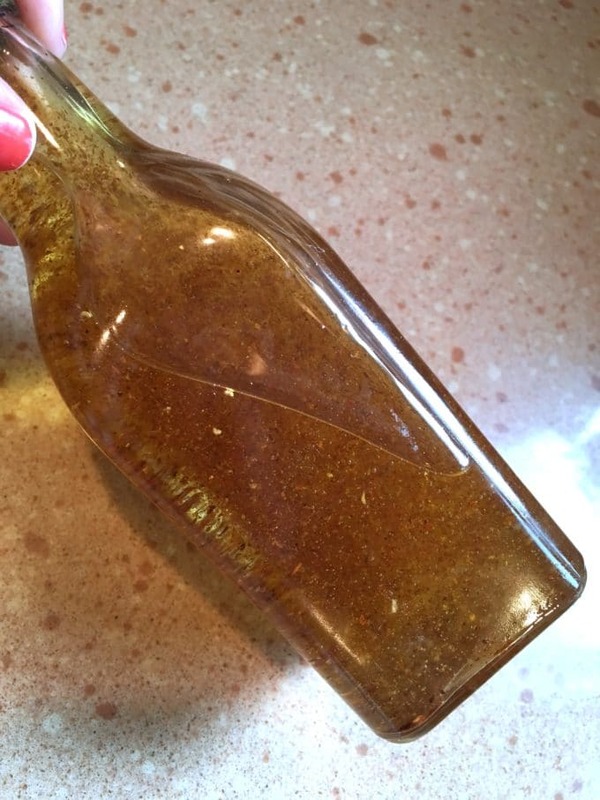 I ALWAYS have this little concoction on hand next to our stove because I use it so frequently – just that little bit of infused oil can make something plain like green beans a little more tasty – so I thought it was worthy of it’s very own post. 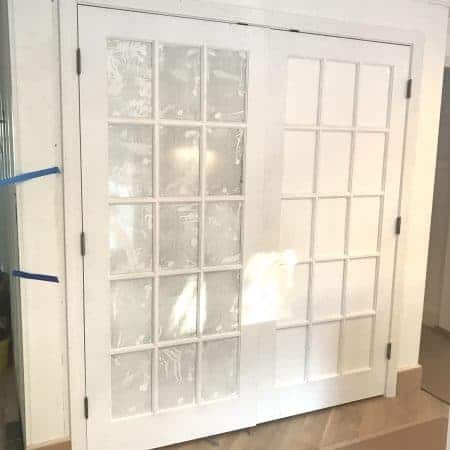 This would make a nice hostess gift for summer get-togethers by the way! Red pepper oil doesn’t overpower a dish with spiciness, and my finicky kids have never once complained about it so I think it’s pretty safe when trying to please a crowd (if only to save your sanity). 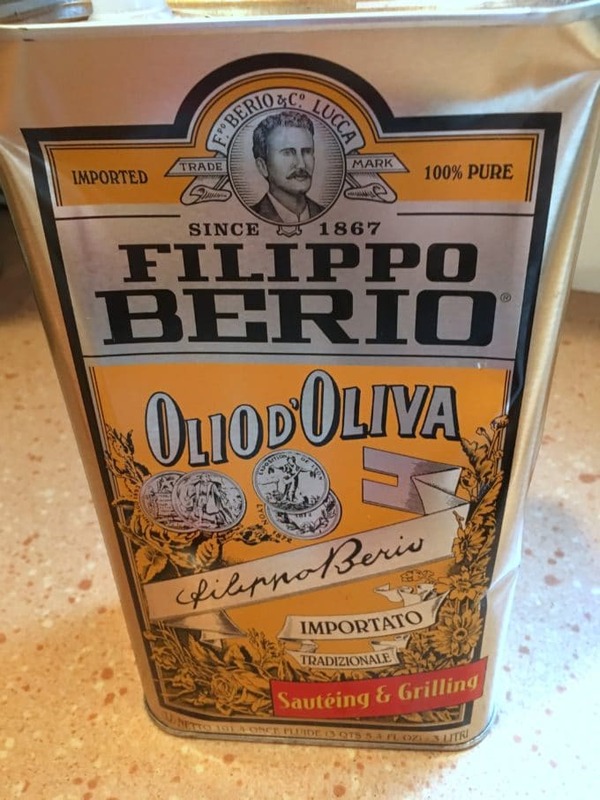 I use this oil when I’m cooking onions for burgers (have you tried these crazy good ones? They’re our favorites hands down), when I’m roasting broccoli, or with any savory dish that needs a subtle kick of flavor. 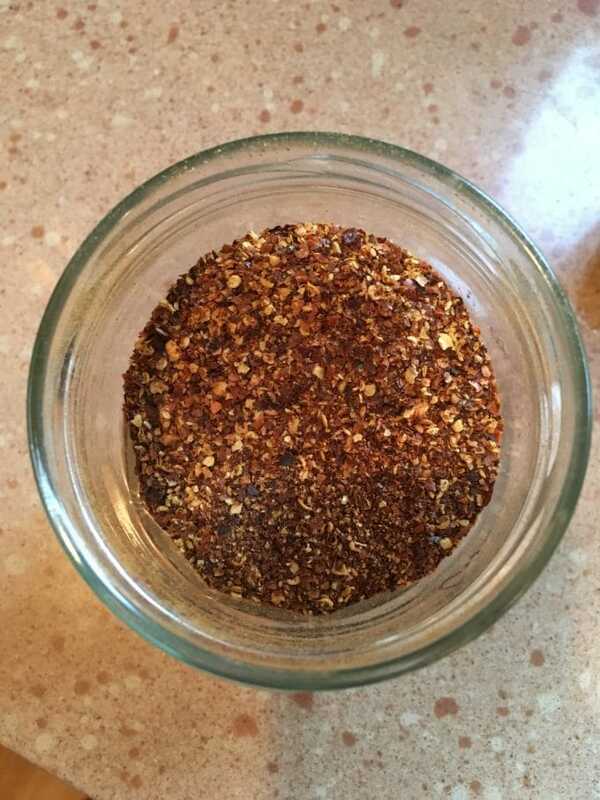 To make red pepper oil combine 1 cup olive oil and about 1/8 cup of crushed* red pepper flakes in a bottle with a spout. 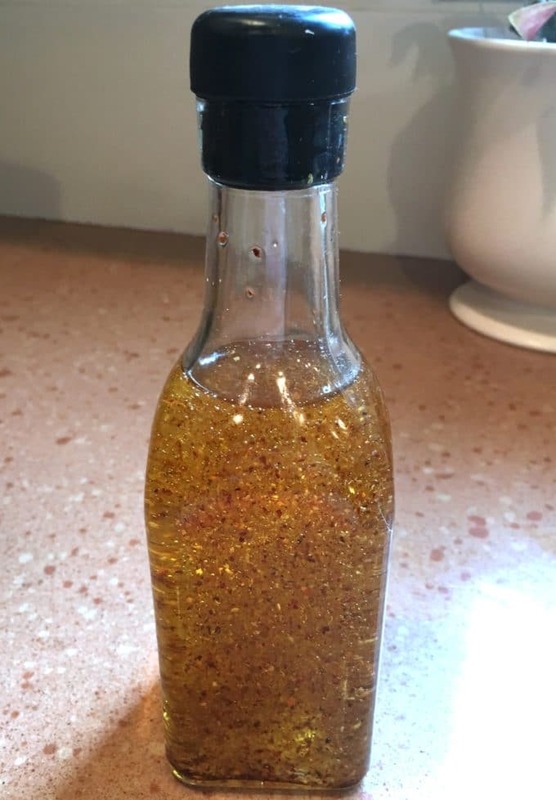 I use a funnel for depositing the red pepper into the bottle, and then add the oil after it, and add to the bottle when the liquid gold gets low. This is our favorite OO that doesn’t have a weird aftertaste. 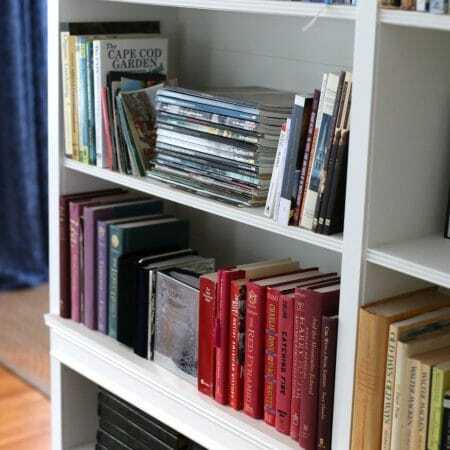 Do you have one you love? Put your finger over the spout and shake frequently to combine the flavors, especially before using. Note that if you add any fresh ingredients like minced garlic or fresh herbs, the oil should be refrigerated and used within a couple of weeks. Red pepper oil will increase in potency the longer it ferments. Try homemade red pepper oil in my quick Mexican corn risotto, it’s creamy, delicious, and great for using up leftover summer corn on the cob! 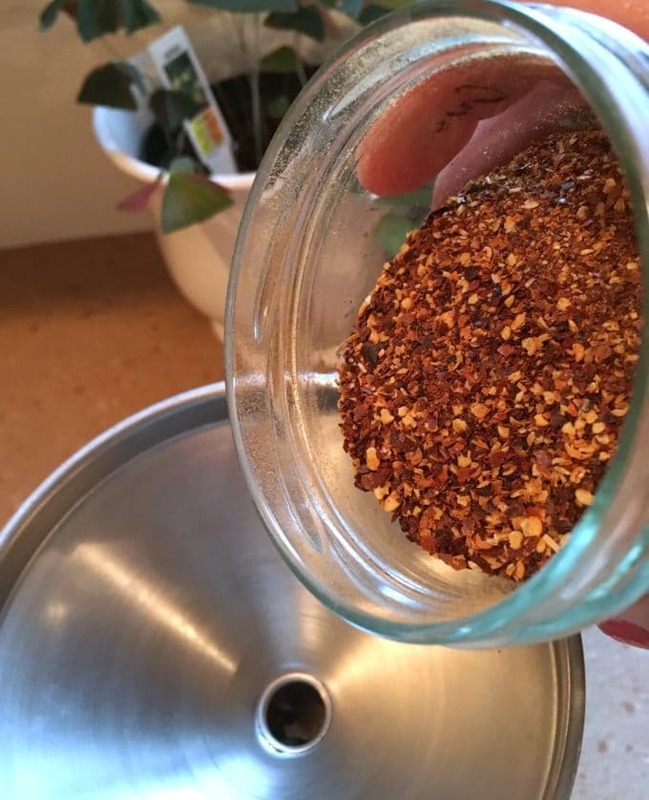 I use my coffee grinder and do a large batch of red pepper flakes at once, and then store them in a jar. 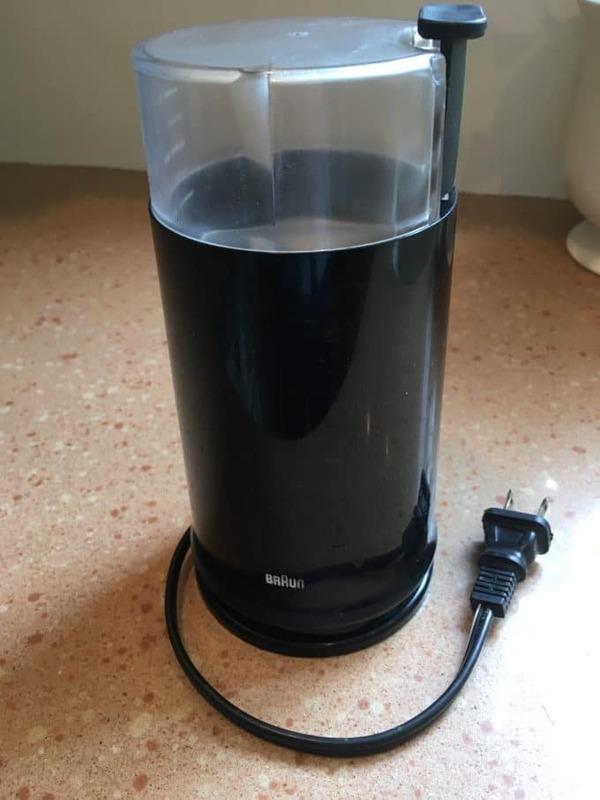 I clean the grinder really well after and I have yet to run into red pepper spicing up my morning coffee, in case you’re concerned about using your coffee grinder for this purpose! 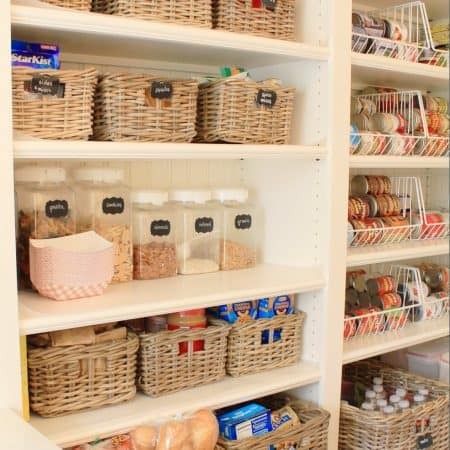 Hope you enjoy this simple-to-make staple as much as we do! That sounds just like us Lauren! A little OO in everything. Hope you had a great 4th! 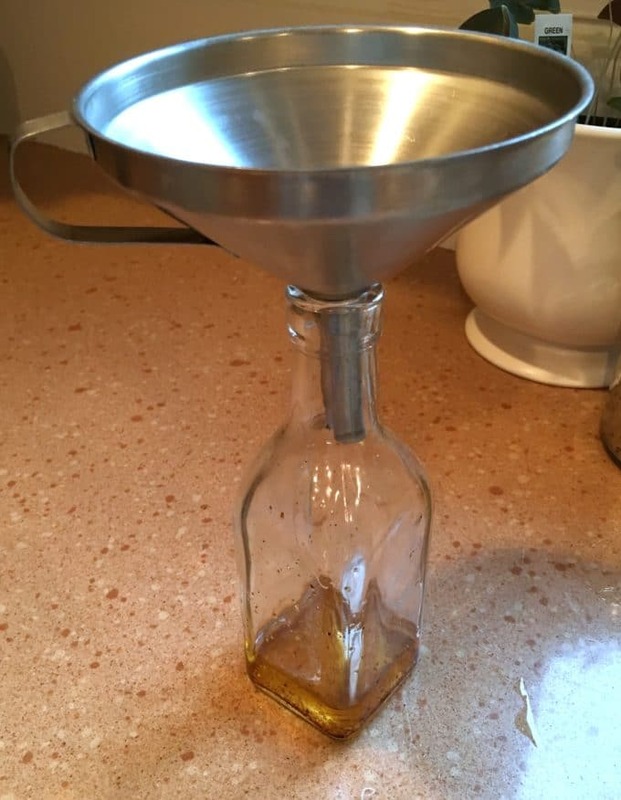 Such a clever olive oil concoction – one that I would never think of! 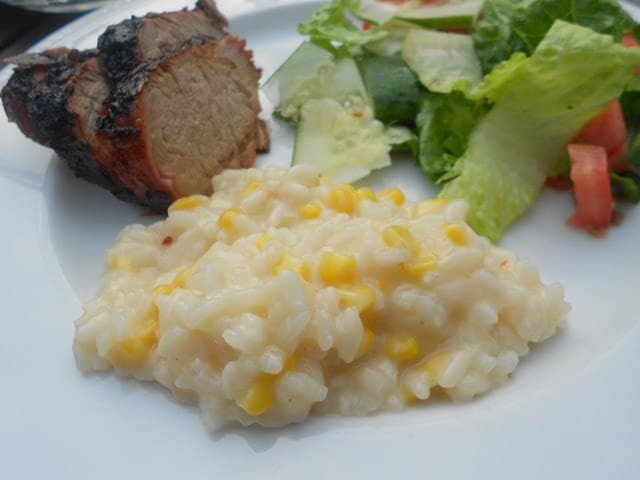 Your corn risotto looks SO good, Lisa! Have a wonderful 4th of July holiday weekend! Carol, our friend made a similar risotto for us this weekend, but her version had lobster in it, it was amazing!! Hope you had a great 4th!